Twelve different background patterns come in this tripping and psychedelic techno music inspired vector set. Great for your house music, party and club fliers and websites. 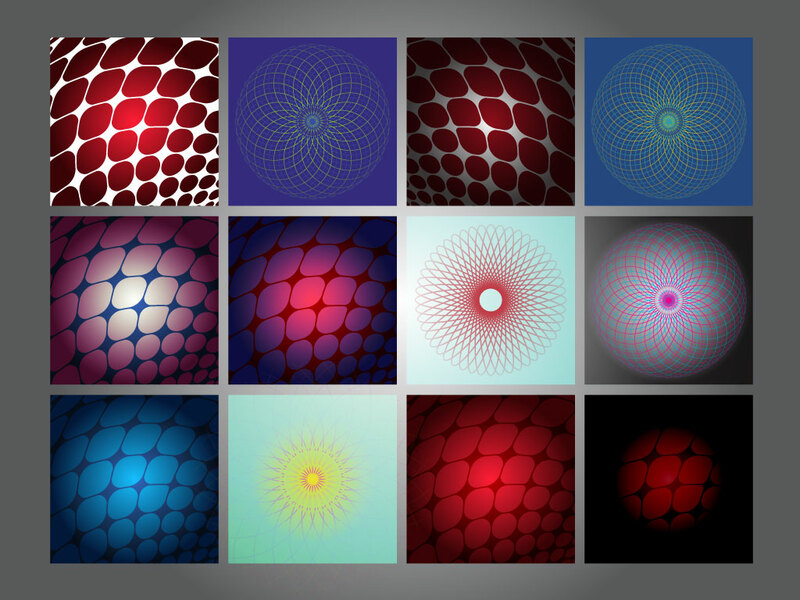 Download this cool backdrop set for your collection. Tags: Digital, Dots, Patterns, Psychedelic, Science, Symmetrical, Trance.